Editing butterfly genomes, like other insects, can be challenging because of the particulars of the biology of the insects. Li et al. (2017) describe some of the details of genome editing Papilio machaon in a letter to Insect Science and they show how significant challenges can be overcome in order to deliver genetic technologies to developing insect embryos. Li et al had already reported the genome editing of Papilio xuthus but some of the details of their methods were not included so here they apply their methods to Papilio machaon and provide lots of technical details. The authors conclude based on their high rate of mutant recovery that high concentrations and an appropriate ratio of sgRNA (500ng/ul) and Cas9 mRNA (600ng/ul), co-injecting of two or more adjacent sgRNas and egg injection during early embryogenesis result in the best results. This is generally true and insect genome editors should take note. The authors reported injecting some 500 embryos and finding that 88.5% of the developed larvae (hatched and unhatched) were morphological (somatic) mutants (4 hatched, 66 unhatched). 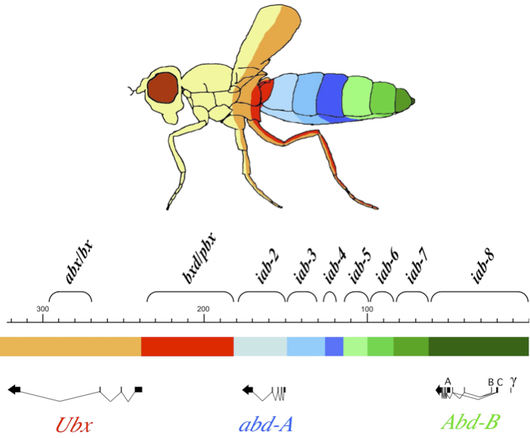 The authors were targeting Abdominal B (Abd-B) gene and looking for segmental transformations. While the Cas9 system is enzymatically active, making mutant generation ‘easy’, the process of genome editing insects is not, as Li et al. efforts exemplify. In this case dealing with the reproductive biology of Papilio machaon required placing newly emerged adults in large flight cages (about 5ftx5ftx6ft) with various blossoming plants. After a day individuals were hand crossed and females were eventually returned to the flight cages with larval host plants (fennel). Eggs were not laid in clusters so finding freshly laid eggs required considerable effort – one at a time. Nonetheless the authors report only injecting eggs no more than 2 hours old. Eggs were large (~1mm in diameter) but with a substantial chorion. Eggs were glued to a glass slide in an evenly spaced array using Krazy Glue®. Le et al. made a hole in the hard chorion using a mirco chisel (Eppendorf) and then immediately inserting a glass needle into the hole and injected 2 nl of liquid. This is very much the way Bombyx eggs are injected. Challenging but do-able. So, while editing was efficient, delivering the Cas9 technology required considerable effort. This is generally true for insect genome editing. Li et al. provide some useful tips for insect genome editing that could be of broad interest.